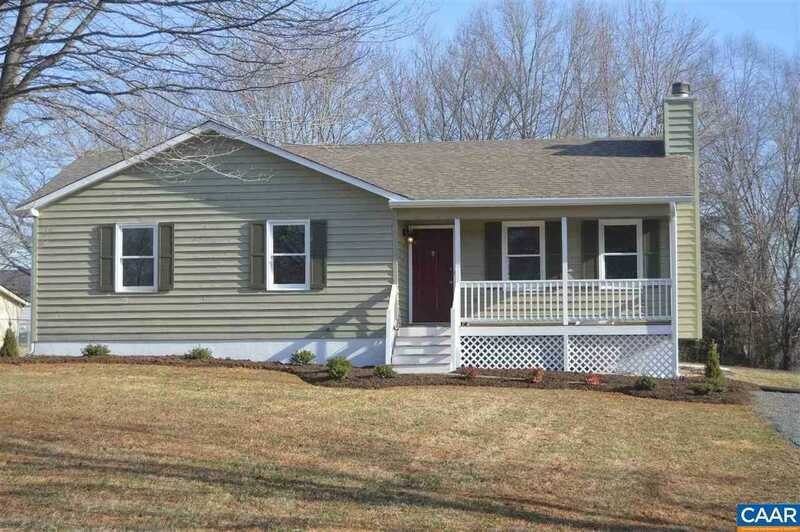 Roy Wheeler Realty Co. MLS# 585512 - 440 Cordelia Dr, Ruckersville, VA 22968 - Roy Wheeler Realty Co. Comfortable, impeccably clean and filled with natural light, this 1-level home has been tastefully updated with modern finishes not commonly found in this price range. Updates include a brand new heatpump, new kitchen cabinets with granite tops and stainless appliances, new hardwood / carpet / ceramic tile flooring, recessed lighting and two refinished full baths. Freshly painted inside and out with a new driveway and landscaping. Just across the line in southern Greene Co. and only seconds to Rt. 29 and an easy commute to NGIC, DIA and Albemarle Co. More pictures to follow soon. Directions: From Rt. 29, go west on Rt.607 (Cedar Grove Rd. ), left on Spring Hill Rd., right on Cordelia Dr., house on right almost to the cul de sac.